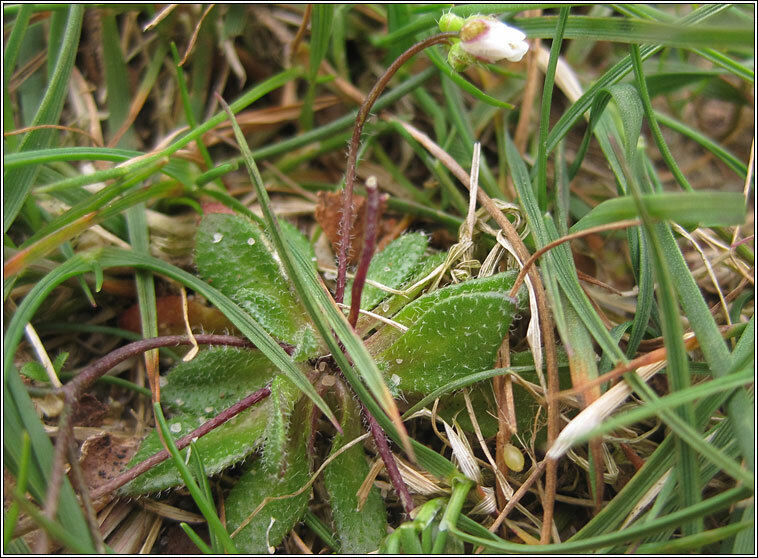 Habitat: Common on dry, sandy grassland, rocks, heaths and dunes. 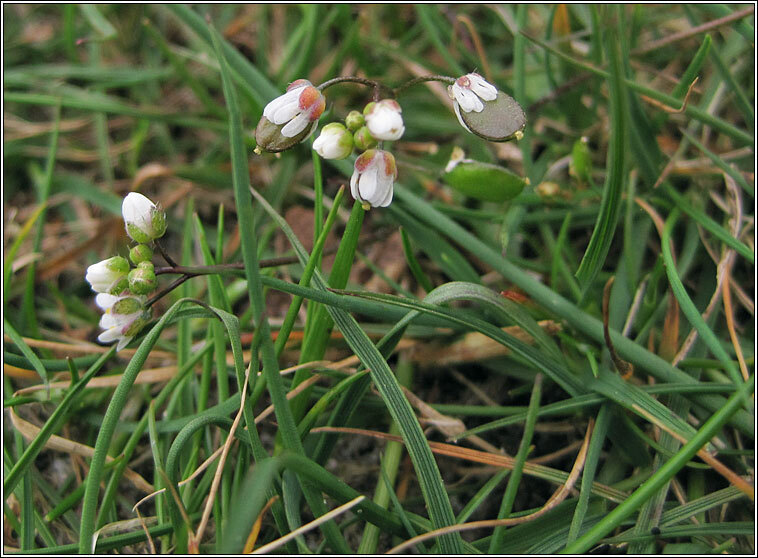 Small white flowers with four petals deeply divided to more than half their length are followed by hairless, long-stalked fruit. 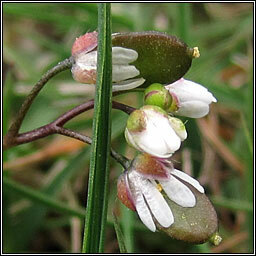 Fruits are flat and oval-elliptical, the seeds 0.5+ mm long. Height 2-10cm. Many very similar subspecies occur.